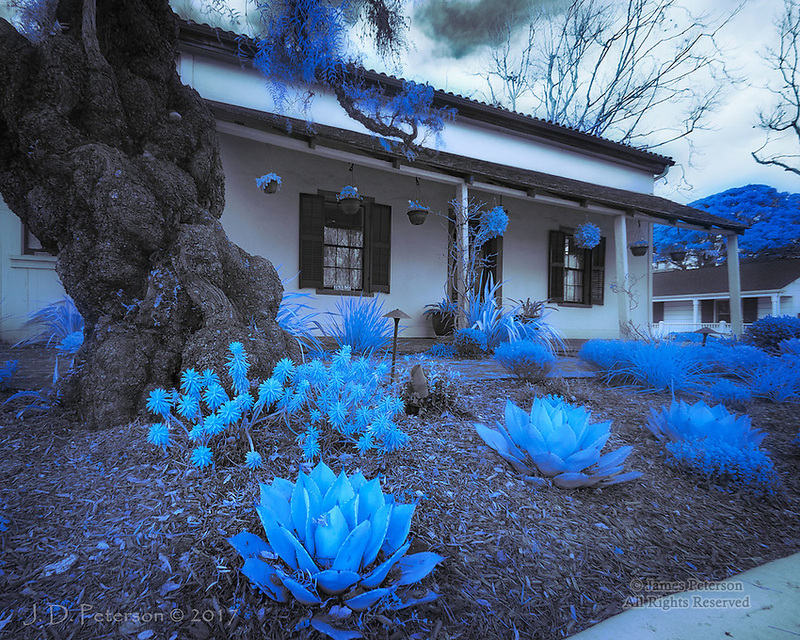 Casa de la Torre, Monterey, California (Infrared) ©2017 James D Peterson. Downtown Monterey still has many historic adobe homes originally built by Spanish settlers. This image was selected for the "Seeing Blue" exhibit at Gallery 25N.